Across the Street, Across Town, or Across the Country. Dependable Moving Companies in Newark Delaware, PA, MD and Beyond! Start planning your move today. Request a moving estimate to learn about the services we offer. 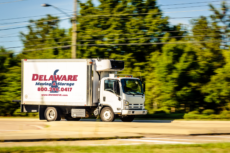 As a moving and storage leader, we proudly serve Delaware and its surrounding areas in Pennsylvania, New Jersey and Maryland. 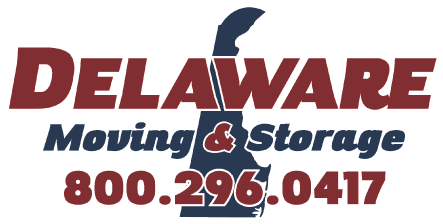 Delaware Moving & Storage has remained a family owned and operated leader in household moving and storage services since 1984. Our movers offer a secure and personalized experience for our customers—anywhere, any time. An estimate is the first step in the moving process and can help you plan your move, learn what to expect, and answer your questions. Learn more about our estimates below, or contact us now to get started. Whether you're undergoing a local or regional move or making an international transition, Delaware Moving & Storage can provide the reliable assistance you need. With your complete satisfaction in mind, we offer a variety of specialized storage and services performed by our professional Newark DE moving company. Our courteous staff can handle any type of move and they continue to exceed customer expectations for home and business-moving needs. We are your local COWs – Container on Wheels Mobile Storage dealer. Our Barn is located at Delaware Moving & Storage, a full-service moving and storage company. 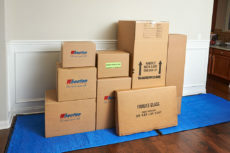 We are experts in storing or moving your property. With our help, you can design a personalized moving and/or storage solution to fit your needs, budget and timeframe. 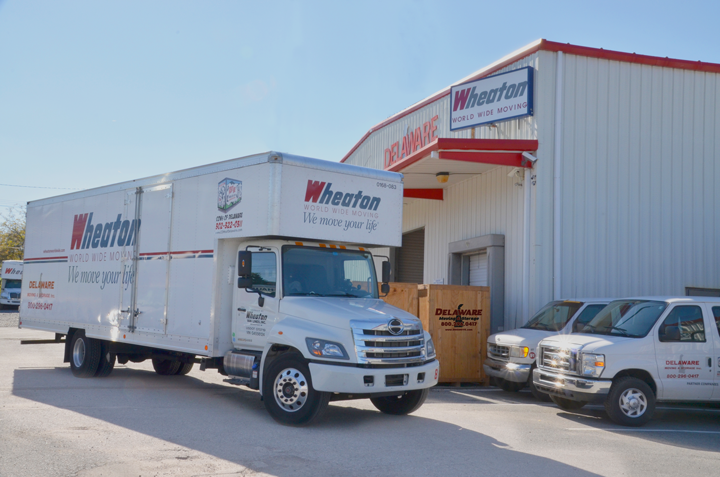 Wheaton Means Worry-Free Moving. 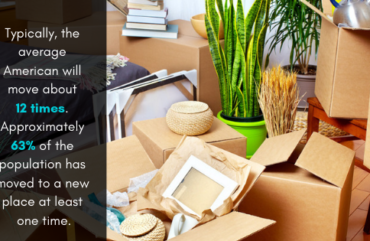 There’s no way to avoid it: Moving is stressful. 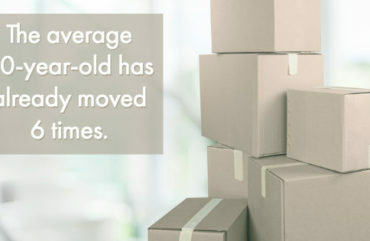 But that doesn’t mean choosing the right moving company has to be. You want moving services that will provide you with a comfortable, hassle-free experience. You want a friendly driver and an experienced crew. In short? You want Wheaton. After more than 70 years of moving families with friendly professionalism, we are the fourth largest van line and cover over 95 percent of the United States. Great service. Very professional–from salesperson, to drivers, to loaders. Very satisfied with overall service and value. I would definitely use Wheaton again and recommend to friends. Overall impression is excellent. Your guys deserve a compliment! Your guys were great! I could tell they were working very hard to care for all of my family’s belongings. They were kind and courteous. You were right about having quality employees. Both Danny and John told me thank you for hiring Delaware Moving. I could tell they had pride in the company they work for. I will be forever grateful for your company helping me at the very, and I mean VERY, last second. I had scheduled with another moving company only to find out they did not have me on their books. This was only a couple of days before I HAD to be out of my house. You guys came through with flying colors. And the wonderful gentlemen who did all the work to get me moved were bare none the very best. They were gentlemen, knew the job–which each one took very seriously. And they never wasted any time. I was simply amazed at them and their work ethic. Your company held my belongings overnight and delivered them to me on time and with no problems whatsoever! The young men you have working for you are incredible–I can’t say enough. They were personable without being too forward, and always respectful. So that you once again for everything. I have wanted to get back to you for several days but have been busy, of course, getting set up at our new address. Your guys were fantastic. John’s packing was so professional. He went above and beyond to make sure everything was protected and well organized and labeled. Found my coffee quickly the 1st morning when I really needed it. Maurice, Bobbie, Rome, John and Cal were so efficient, friendly and professional. They took such good care of us. They seem to know how to put us at ease. Please pass on to them how much we appreciate all they did for us. I hope they enjoyed my cookies. I certainly don’t want to move again but I wish I could see them all to personally thank them. Dave was a great help in understanding the estimate process. Again very professional and friendly. Your total cost was very fair and competitive. I will definetly be telling our friends about your services and costs. When we decided to build a home, we were looking at 4 separate moves. My baby grand piano needed to be moved and stored—a family friend recommended Delaware Moving & Storage. The three gentlemen who came to move her were friendly, courteous, and seemed to know what they were doing. All 3 were so patient, answering all my questions while reassuring me that my baby would be fine. When she was being wheeled into the truck, I began to cry. The gentlemen were so sympathetic that they gave visitation rights. Needless to say, they won my heart! Our home was completed by mid-December. We decided to use your company since we had a really great experience already. The morning of December 15th dawned with pouring rain. We resigned ourselves to it being a miserable day. Little did we know how it would turn out! Despite the conditions and being rain soaked, they were patient, courteous, friendly. Most important, though, they were humorous. They could see that this was hard on me and made it their mission to make me laugh. My miserable day turned into one of the best days of 2018. While the moving men were very businesslike, they also took the time to win over our 2 daughters and 4 granddaughters who were helping us unpack. I hope Delaware Moving and Storage knows what gems these men are. On a scale of 1 to 10, your company definitely gets a 10! Tom B. CustomerDamon and Mark were professional, courteous, and businesslike they did an excellent job. Aaron Pross was an exemplary contact from July to September. I conveyed that to several of his managers. 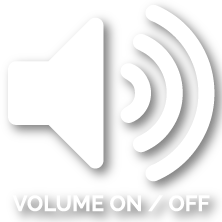 Three crew members doing the move–Theo Milner, Sam Coleman & Robert Wagner–were efficient, full of energy and good humor the whole process long. (Theo was amazingly strong and enthusiastic. I nicknamed him Hercules Junior and meant it sincerely) We gave all the info to our real estate agent, who will refer Delaware Moving and Storage and Aaron Pross to her clients. Dave I just wanted to write to you to let you know how extremely happy I was with your staff. It was an emotional day for us as we were emptying our parents apartment due to our Mother’s passing in May. The movers were sympathetic, very professional and just very pleasant individuals. I was very impressed with how carefully they handled all of our belongings. The company that moved our Dad back in July did not show half the professionalism your company upheld. I look forward to working with your staff again on September 8th and would recommend Delaware Moving Storage to my friends. Thank you again. I just wanted to send a quick note to give you some feedback about the crew that moved my mother, Elva, from Middletown to Newark last week. Zack, Maurice and Rick were assigned to us and each one was worth their weight in gold. They were friendly and professional, and they worked so well as a team, it was so refreshing to see. They even went above and beyond in helping us with a few things around the house, even after the truck was packed!! What a kind and helpful gesture towards us. 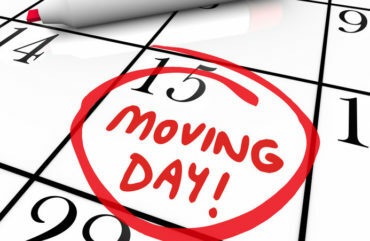 I am hoping to move out of my apartment eventually, and when that day finally comes, I’m going to call Delaware Moving and Storage, without hesitation. And if anyone I know needs to move, I will tell them to call you first. Thanks so much for all your help and hard work, it made a worrisome day that much easier. We had a very positive experience with your moving crew. They were courteous and flexible under difficult circumstances. They were very hard-working and efficient. Couldn’t have asked for a better crew. The three guys are the world’s best guys. Good morning JD, I just wanted to thank you for all of your help with our recent office furniture move. I appreciate how quickly you responded and that you were able to get us scheduled right away once we got the go ahead from our fiscal department. I also wanted to let you know about the amazing the crew of gentlemen that came to move the furniture. Chris, Kasa and Devon were polite, professional and very helpful. Their attitudes were very positive and even when it started to pour down rain, they didn’t miss a beat. They represented your company well and you should be proud to have such high quality employees working for you. I will definitely be recommending Delaware Moving and Storage to my coworkers, family and friends. Cory our mover was excellent. He was professional and courteous and treated us and our furniture with care. He had the attitude that nothing was too much trouble. He worked hard and long at both locations. One Christmas glass was broken-that is amazing for all the stuff we had. The movers told me that we had done a good job at packing the boxes. We appreciated your company delivering to two locations. That was a great help to us as our son-in-law was retiring from the Air Force and he and our daughter were moving into their own home, needing our excess furniture. Thank you all very much!!!!!! I just wanted to take a moment to tell you how exceptional your three gentleman employees were today with my move from New Jersey to Delaware. They were genuinely kind, friendly, patient and courteous. You have a rock star team! They were outstanding. If all of our customers receive this caliber of service then it must lower their stress level and make it much more pleasant. It opens and closes a job. Bill and I are finally starting to settle in at the new place. I wanted to make sure I sent you an email to tell you how pleased we were with the entire Delaware Moving & Storage experience starting with you. Your thoughtfulness about our household contents and the best way to approach the move made me feel less anxious. Your estimate was very close to our final bill and we appreciated being able to pay by credit card. The packers, Kasa, Damien and Darryl did a great job. Not one item had even the tiniest chip. Each item was packed so well with each packer’s own style. When I was unpacking, I got to a point, somewhere around box 40 of the 71 boxes, that I could tell who packed each box. Moving day with Jeremy, Damien and Derek was a breeze. Nothing was damaged and everything was placed just where I wanted it. I never want to move again but, if I do, I would only call your company. I will certainly recommend you to any of my friends who may need moving services. I want to tell you how professional the movers were during my move. The move was unexpected and done urgently to remove myself from a challenging situation. The men that moved my things were very respectful of all parties. I simply cannot thank you enough. First for how fast I was able to schedule and most importantly for the two men who were kind and professional throughout the entire move. I was truly thankful for both of the gentlemen who moved my belongings as if they were their own things. Thank you for providing outstanding service! On Friday 11/17/17 I had the great pleasure of your movers helping me to relocate. Dave Sterling was outstanding in every way. Very impressed with his knowledge and capability. The moving team showed up right on time! Beverly and Michael were an absolute joy to have as movers! They were very quick, but never made me feel rushed. Very patient and understanding of my wants. They were exceedingly careful of my “stuff” and of my condo. Did not leave until they were sure that all was OK. Beverly went over the lengthy paperwork quickly, which I liked. Your OUTSTANDING people made a stressful situation very easy. I felt that the price was fair, and that I received good value for my money. Thanks for a great team effort and a job well done. I had Andrew, Robert and Jalyn as my crew and they were amazing. They worked well together and with me. From the start of the day through the end, they were courteous, professional and efficient. They handled special requests with grace. If I am in need of a mover in the future, Delaware Moving & Storage and THIS CREW will be my go-to! You sent Delaware Moving to move me and Damon and Mark were exceptional. So good!!! My driver was incredible, my salesperson was incredible, and the packers were amazing. Overally, a very positive experience. If you plan a home to home, local, long distance, interstate, commercial, interoffice, or international move, or need valuation protection, packing, shipping or storage, simply select the link to the left that applies to your situation.